Time-saving tips, products and advice to get your ride clean and shiny in a jiff. Spring is in the air, and car-care season is upon us. With the winter gone away for another year, the time is right to treat your ride to some much-needed TLC, leaving its cabin clean and detailed, and its paint shiny, lustrous and protected. Cleaning and caring for the look of your ride, inside and out, is easy and trouble-free, and more so if you’ve got the right products and equipment for the job. Best of all, taking care of your ride’s appearance is a great way to ensure it looks good for the long haul and can improve resale value, too. 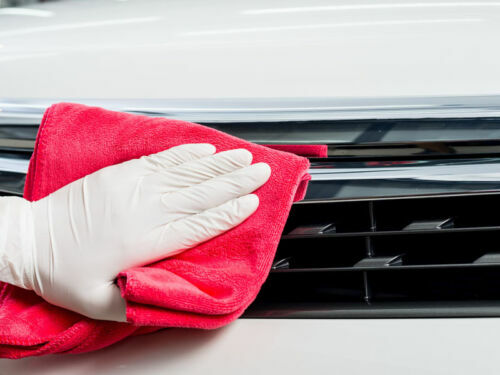 Below, we’ll look at seven items that will make your springtime car care ritual even easier, as well as some tips and hacks that’ll save you time and money, basically making you a genius.